Anker PowerWave 7.5W Qi Charger | $12 | Amazon | Promo code KJWIRELESS. Quick Charge wall charger not included. 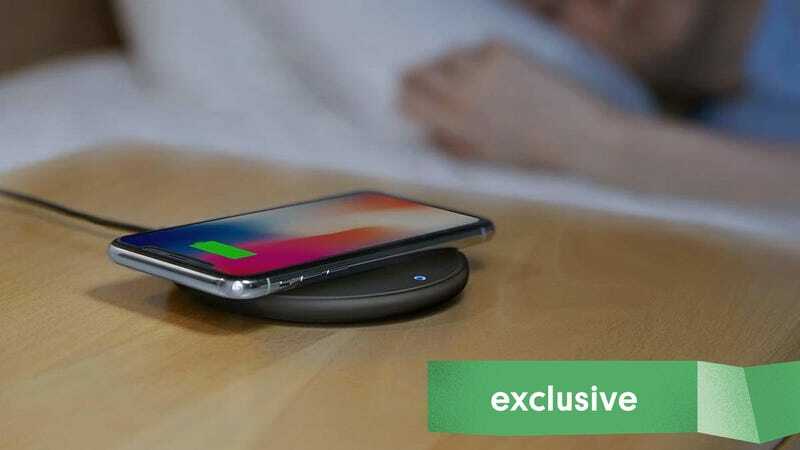 Most Qi wireless chargers can charge select Android devices at 10W speeds, and iPhones at 5W. But a select few are able to max out the iPhone, and eke out 7.5W on Apple’s handsets...for a price. But with today’s exclusive deal on Anker’s PowerWave charging pad, you’re barely paying a premium. Promo code KJWIRELESS will bring the pad down to $12 at checkout, which is half its usual price, $5 less than its current sale price, and the best deal we’ve ever seen on a 7.5W Qi charger. The only catch is that you’ll need to plug it into a Quick Charge 3.0 USB port for it to operate properly, as it customary for 7.5W chargers, and it doesn’t include one in the box. You likely have one lying around somewhere, but if not, Anker would be happy to sell you one separately.